Why are Car and Truck Dealer Albums So Valuable? What is a dealer album? 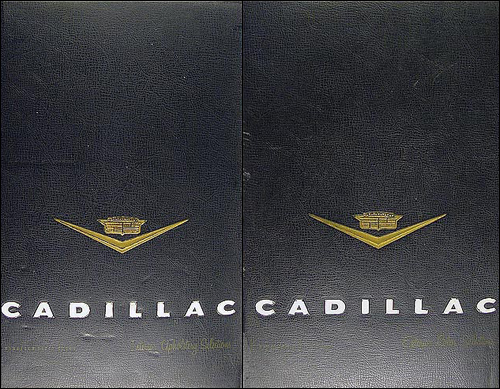 A dealer album is a book used by vehicle salespeople to sell cars or trucks. The two most common types of dealer albums are color and upholstery books and data books (also called facts books). There are dozens of other types, however, such as competitive comparison books, ordering guides, pocket facts, merchandising books, ad planners, accessory albums, pictorial albums with cutaways, slides, dials and other fun interactive features, and more. Why are dealer albums so valuable? They are rare. Dealerships have one or just a handful of albums. They were not handed out to customers, but kept by sales staff. In contrast, a dealership may have handed out dozens of sales brochures in a day, making them hundreds or thousands of times more common than dealer albums. Dealer albums also have a low survival rate, as they were likely to be thrown out at the end of the model year.Some manufacturers even supplied new contents to be inserted into the same binder year after year, as the previous year’s contents were expected to be thrown out. They have unique information. 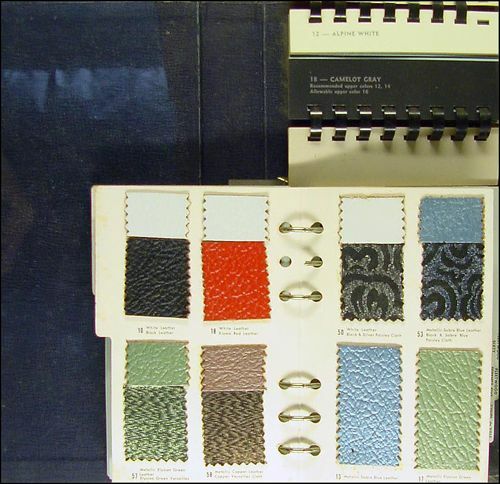 For example, color and upholstery books usually have actual swatches of interior fabrics. If you are restoring a vehicle and want to make sure you have the original upholstery, this is a way for too see and touch the original upholstery selections, and to make sure an upholstery restoration matches the original, if that’s what you want. 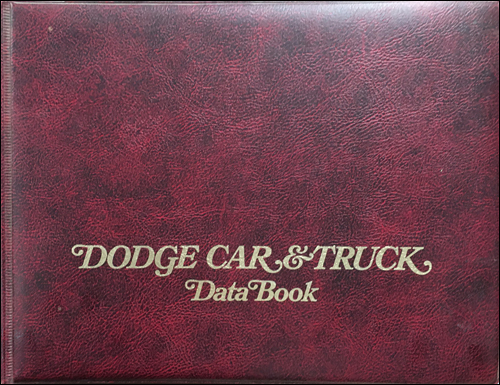 Data books and ordering guides usually have the most thorough information on what equipment is standard and what is optional, so you can find out exactly how your vehicle is optioned and if those options are original. Faxon Auto Literature has the world’s largest selection of dealer albums. You’ll find GM and MoPar albums listed on our website and we’re currently working on adding Ford albums, with imports next on our to-do list. You can call us anytime!